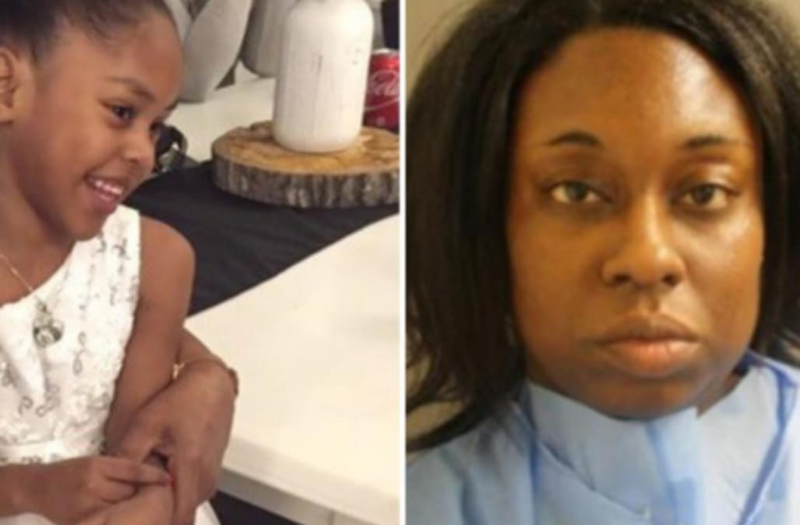 Police in Texas arrested a mother who they say fatally stabbed her 4-year-old daughter. According toKTRK, Deputy Thomas Gilliland of the Harris County Sheriff's Office said Laquita Lewis, 34, texted her family on Sunday to apologize for doing "something bad" to the child. She allegedly told her family and the girl's father that the little girl was going to heaven, KTRK reports. Family members contacted Harris County Sheriff's deputies, who arrived on the scene at the Houston apartment to find Fredericka Allen dead. Authorities said they believe Lewis stabbed the girl multiple times in the chest before leaving her on the floor of the bedroom to die. Deputies have not yet determined what a possible motive could be, and family members aren't sure what happened either. "Why would you take the life of a child?" Fredricka's great aunt told KTRK. "Your own child? But any child? How could you go and take a child's life like that? I don't understand it, honestly, I don't understand it."